This pregnancy has been exhausting and during the first 12 (20) weeks, I really struggled to stay on top of the house. The washing piled up, the bathroom needed a serious deep clean and the floors collected crumbs so quickly that I was very glad that Finn wasn't yet crawling. 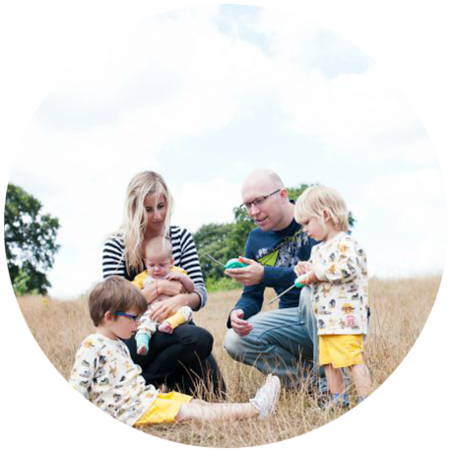 It made me realise that something had to give, and that we needed a new routine and as the bigger boys are now four and three, that they could be given some responsibility for looking after the house. We haven't given them set chores, but instead I find that giving them different tasks each day helps keep them interested and excited, especially if there is an element of competition involved. One thing that I have discovered that they love to do it use a broom, and so sweeping the dining room has become one of their regular tasks. They take it in turns to use the broom and the dustpan and brush and the best thing about being so small is that you can get right under the table! These are jobs that are starting to take a strain on my back as my bump grows and their enthusiasm makes it more of a game than a chore. Getting them to do more of the small jobs that I would do without thinking also seems to be teaching them responsibility and the more they do them the more they become an unquestionable part of life. Taking their plates into the kitchen once they are done, scraping food into the food bin, folding school clothes that will be worn again the next day (on the odd occasion that he manages to keep something clean), sorting the recycling. I never really asked for help before this pregnancy but now that I need it they have shown me that they were ready all along. Finn is still too young to really get involved, although the idea of strapping things to his hands and knees and getting him to clean the floors hasn't completely left my mind - he does love crawling in and then sliding backwards on his tummy so he may as well be polishing whilst he is there! Hopefully as he grows up watching his brothers help out around the house he will pick up the habits naturally. -Make it into a game or competition - they love excitement and can find it in anything so help them along the way. 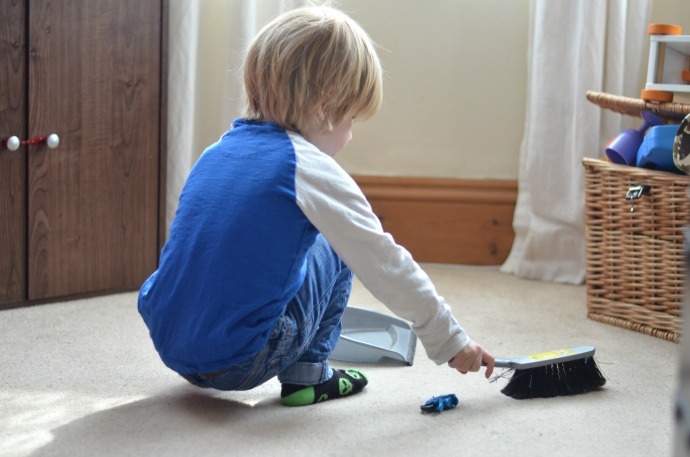 -Think of simple age appropriate tasks, emptying washing machines, tidying toys, laying the table and sweeping are all ok for a four year old. -Do it as a family - put on some loud music, have a dance as you clean and all do a different task in the same room together. It feels like a group activity and things get done so much quicker. -Be careful with chemicals - I don't let them near anything strong, but we do have cleaning wipes for them to use that are very mild. Keep everything stored safely in case they decide to do some impromptu cleaning whilst you aren't looking! -Make it become routine as quickly as you can so they do their tasks automatically rather than feeling like a request each day. I also shared some tips over on the Argos page so check it out! This pregnancy has definitely taught me to do what I can and not stress about the rest. Bursts of energy are spent giving one room a deep clean and I am desperately hoping that the nesting instinct kicks in this time, I seem to have skipped it in my other pregnancies! 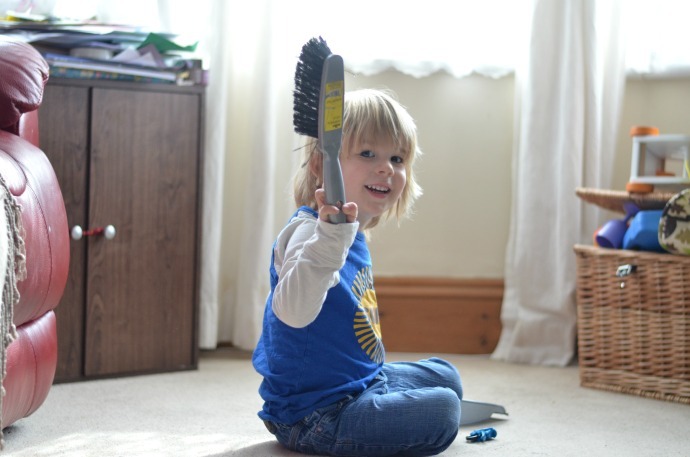 How do you encourage your children to get involved with the housework? There is a fantastic competition to win £250 of Argos vouchers to spend on a floor-care product, to enter simply share a photo on social media (facebook, twitter or instagram) of your family fun cleaning routine and use the hashtag #Cleaningwithkidscomp. 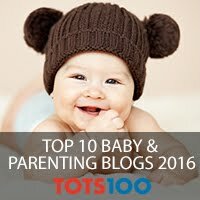 Two other bloggers and I will be choosing our favourites to put forward and an independent judge will choose one winner. I can't wait to hopefully get some tips from you guys too! By participating in the #CleaningWithKidsComp competition you are deemed to accept these terms and conditions. 3. The competition is open to UK residents, except employees of Home Retail Group. 4. The prize is as follows: £250 [two hundred fifty] Argos vouchers to be redeemed against a Floor-care product on the Argos website. Subject to availability. 5. The winner will be asked to provide their name and contact details. 6. The information you provide here will be safeguarded under the Data Protection Act and controlled by Home Retail Group. 7. The competition runs from 23/03/2016 to 23/04/2016 [the entry period]. 8. Argos will notify the winner by email within 14 [fourteen] days after the competition closing date. 9. The winning entry will be selected by an independent judge based on criteria including creativity and quality. The judge’s decision is final. No correspondence will be entered into. 10. No cash alternatives will be substituted for the prize. The promoter reserves the right to offer alternative items/activities of a greater or equivalent value should unforeseen circumstances require it. 11. Entries submitted before or after the entry period will not be eligible. 12. Use of a false name or address will disqualify any applicant from receiving the prize. 13. No responsibility can be accepted for entries not received for whatever reason. 14. Any entries attempted through the use of agencies or robotic, repetitive, programmed, or similar methods will be void. 15. If the prize is not claimed within 28 days, we reserve the right to redraw. 16. The promoter reserves the right to (a) add to or waive any rules on reasonable notice (b) reserve the right to alter, amend or foreclose the competition without prior notice. 17. 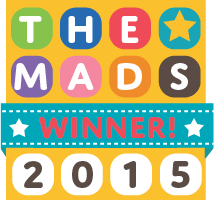 The winner may be required to participate in post-event publicity arranged by or on behalf of the promoter. 18. Promoted by Argos Distributors Limited, 489-499 Avebury Boulevard, Saxon Gate West, Milton Keynes, MK9 2NW. I think children really like to do real tasks around the house when they can, it makes them feel all grown up! We don't have a set chores for our three but they all help out - Pip's speciality is putting shoes back in the hall!! The kids all have their chores to do and when someone rings up and says they are going to pop over we have a 15 min tidy through. I put the timer on and they all clear through the downstairs putting things away and in a carrier bag to take up to their bedrooms and I follow with the hoover and then one of the lads with the ostrich feather duster - they all love a turn with the duster. We use Chore Bingo during the Summer Holidays & half term! My son needs to complete one line or row of 4 chores in order to get a small prize (either a trip somewhere or a small toy), with a maximum of 3 prizes over a half-term. He loves it & is desperate to tidy his room or feed the cat! When my daughter is older I bet it will get quite competitive! I have four kids and they all help me with the chores around the house. I would say the toddlers are more keen than the teens! The youngest two love to tidy up, polish, sweep to music and they are fuelled by lots of praise! My older two need a bit more encouraging and I find that if there's something they really want or ask for, they are a lot more enthusiastic about helping and doing their chores. I started my little ones by tidying toys away at the end of the day, and gradually adding little jobs that they could manage. That way it becomes a habit, and my home is much better organised - and tidier. Don't discourage them if it is not perfect - just wait until they are not there and then do it again! Children loves to be involved, praised, and encouraged in all house hold chose. I involved all my 4 sons whenever in all the simple basic chaos and as they grew older rewarded them with comics, sweeties, books & money! !